There have been a lot of news articles dealing with space over the past week. First, Nasa’s Antares rocket exploded just after take-off to deliver supplies to the International Space Station, and then there was the Virgin Galactic spaceship that crashed. It’s definitely been a stressful week for the space travel industry. However, these incidents should not hinder the imaginations and ambitions of our young astronauts-in-training. Every industry has risks of some sort, and science continues to change and advance each day. So let’s keep our little explorers excited about learning. 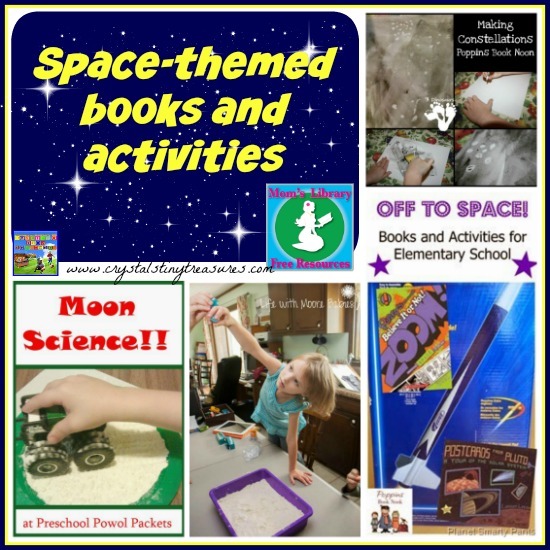 This week my focus is on space books and activities. If you missed last week’s round-up, I featured Hand Skills. Have a look through and be inspired! This resource for Moms is packed full of parenting tips, activities for children, crafts, recipes and more! 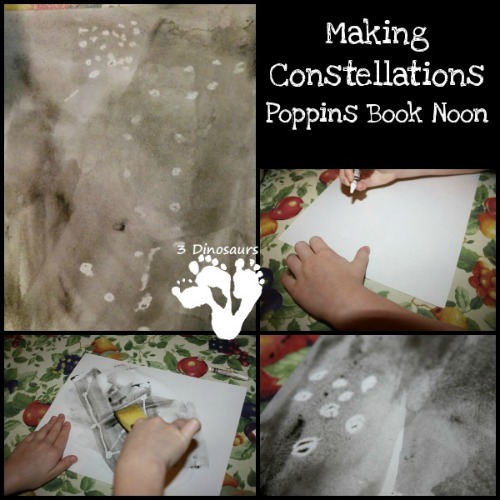 3 Dinosaurs shares a few books, prinatables, and this fun making constellations activity that kids will find magical. 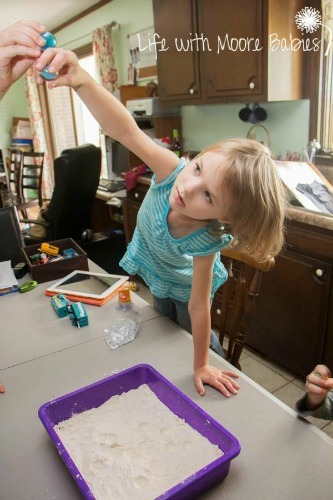 Life With Moore Babies shares two books and this fun experiment about moon craters. Preschool Powol Packets has been learning about the moon’s surface, and discovering why decades later the tracks from the first space vehicles can still be seen. 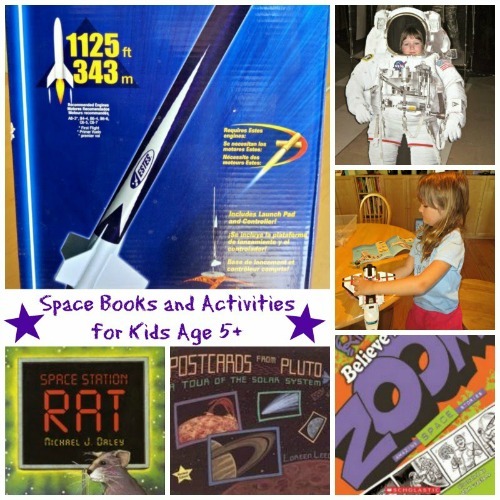 Planet Smarty Pants shares a couple of books as well as five activities that their family has done, including a visit to NASA! Hello sweet lady! Thank you for hosting such a fabulous party. I love stopping by. I hope you get a chance to swing by our party. We would really appreciate it. Pinned! Very fun! I’ve been noticing all the space sites you have been liking on Facebook. I didn’t know about several of them. I think a great time to discuss space is in the fall when the nights are dark and yet there isn’t so much snow to make it difficult to go outside and see the stars. Nice ideas! 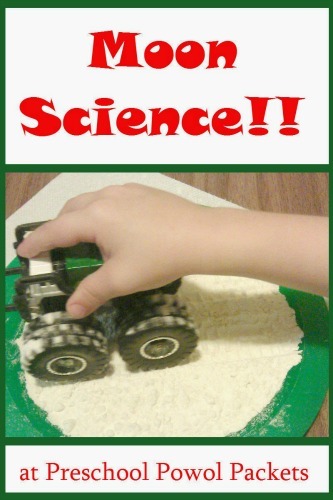 These activities are all easy and memorable for children. I think Tristan has me a little space-obsessed! But it’s so much more accessible now with the internet (and Facebook)! Yesterday I told the kids that the first clear afternoon we have we’ll set up the telescope in the late afternoon and look at the moon 🙂 We don’t have snow, but the rain and wind are cold enough to make one think twice 😉 Let’s get out while the getting’s good!